Many homeowners utilize fertilizers and pesticides to maintain the aesthetic quality of their yards. 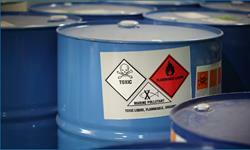 The downside to use of these substances is that they are often very toxic. Ingestion of fertilizers and pesticides can lead to accidental poisonings that may cause injury, illness, or even death. For these reasons, fertilizers and pesticides should be put safely away and out of the reach of young, curious children who may inadvertently come into contact with these items and suffer serious or deadly consequences. If your child has been harmed by a toxic fertilizer or pesticide while under the care of another individual, you may be entitled to compensation from the negligent party. Manufacturers of such products may also be found liable for injuries caused by product defects. Child fertilizer and pesticide injury lawyer Jeff Killino believes that no child should have to suffer the pain and anguish of an accidental poisoning. Call his offices today at 877-875-2927 to learn more about your legal rights in this situation. Most children are unaware of the dangers posed by poisonous fertilizers and pesticides. As naturally curious little creatures, they often utilize all five senses to test out new substances and objects. This tendency, when coupled with a lack of knowledge and understanding of the hazards pesticides and fertilizers pose, may lead to accidental ingestion of life-threatening chemicals. Supervisors must remain aware of this innate curiosity and ensure that dangerous substances are placed well out of a child’s reach. Supervisors bear the additional responsibility of watching children put under their charge – especially young children – at all times. Failure to do so may be found to constitute negligent care, and the parents of a child injured while under a supervisor’s care may be entitled to damages for injuries sustained by their child that were caused by the supervisor’s negligence. Pesticides or fertilizers may be alleged to have caused injury or death to a child as a result of a product defect or someone’s negligence. Product-liability actions related to fertilizers or pesticides generally take the form of strict liability or breach of warranty actions. Some of these claims may be affected by the Federal Insecticide Fungicide and Rodenticide Act’s ( FIFRA, 7 U.S.C. § 1360) preemption provisions regarding state breach of warranty and failure-to-warn defect claims. Some states have held that the FIFRA preempts state common-law claims of implied breach of warranty or failure-to-warn. Claims bases on allegations of express- warranty breach or defective design, however, are generally not held to be preempted by the FIFRA. Whether your particular state claim will be preempted by the FIFRA will, thus, depend on the state in which your action is filed. Your attorney will be able to advise you of the effect this federal law may have on your product-liability claim. Strict-liability actions related to pesticides, for example, that are brought in jurisdictions that adhere to the law of the Restatement (Second) of Torts for strict-liability actions, have often alleged that pesticides are defective products under either a consumer expectations test or a risk-utility test. Under section 402A of the Restatement (Second), manufacturers, distributors, and sellers of pesticides and other dangerous products have a duty to warn consumers of the dangers of such products. The duty to warn includes the duty to warn of dangerous ingredients whose dangers are not generally known, if the manufacturer, distributor, or seller knows or reasonably should have known of the ingredients’ presence in the product and or their dangerous characteristics. Actions in negligence may be brought for injuries sustained by a child through ingestion of or other contact with pesticides or fertilizers if the negligence of an adult supervisor failure to take reasonable care to prevent the child’s access to such substances is found to have been a cause of the child’s injuries. Such incidents can occur in any of several settings. If such substances are kept on school grounds and adult supervisors fail to take the necessary steps to ensure that children will not gain access to these substances, such supervisors, as well as their employers, may be held liable for a child’s resulting injuries. Injuries from pesticides or fertilizers may also occur in the absence of supervisor negligence. If a landowner uses and stores such substances on his or her land and a child is injured after gaining access to such substances, the landowner may be found liable in damages for the child’s injuries. When a child is knowingly allowed on land on which fertilizers or pesticides are stored, the landowner acquires a duty to take reasonable care to prevent the child from gaining access to and being injured by these substances. If a landowner stores such substances on his or her property and a child gains access thereto and is injured as a result of trespassing on the landowner’s property, the landowner may or may not be liable for the child’s resulting injuries. If the landowner becomes aware of the child’s presence on the land, or if the landowner has reason to believe that the child might trespass on the land, a duty arises on the part of the landowner to take reasonable precautions to prevent child injury from these substances. According to the Consumer Product Safety Commission (CPSC), even pesticides that are used outdoors can seep indoors and harm adults and children who are not protected against their inhalation. Thus, adults who use such substances near buildings occupied by children or adults have a duty to exercise reasonable care to ensure that spraying is not done so close to a structure that fumes are likely to pollute indoor air. If your child has been harmed by a dangerous fertilizer or pesticide while under someone else’s care, or if you believe that a defect in one of these products was a cause of your child’s injuries, contact child fertilizer and pesticide injury lawyer Jeff Killino today at 877-875-2927 to discuss your legal options.